The International Wheelchair Dance Festival will take place in Baku on June 25, Trend Life reported. The event, organized by the National Paralympics Committee is expected to begin at 19:00. 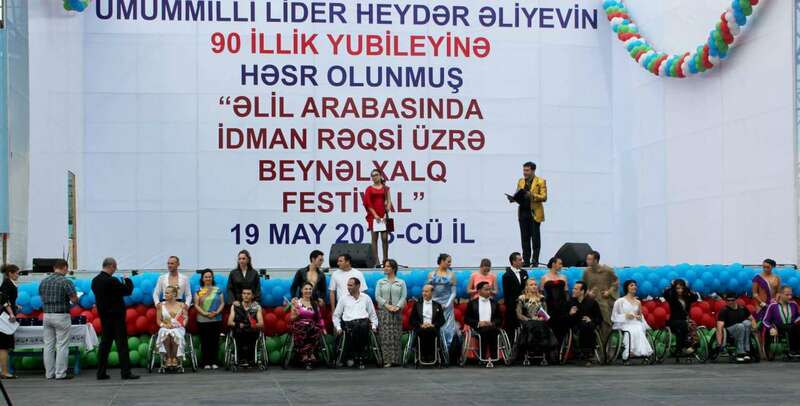 The festival is dedicated to the 20th anniversary of National Paralympics Committee of Azerbaijan. The event will be attended by representatives of Azerbaijan, Ukraine, Russia, Belarus, Kazakhstan, Georgia and Germany. The event program also includes wheelchair bowling tournament devoted to Azerbaijan Armed Forces Day, June 26 . The venue will be Megafun Family Entertainment center. The event begins at 14:00. The festival's official partner is Azerbaijan Airlines (AZAL). The Committee is developing 12 of the 19 Paralympic sports. By the 2020 Paralympics in Tokyo, two sports will also be added to them. Over the past few years, the National paralympic team has made great achievements. Only in 2015, the Paralympic athletes have won 79 medals – 32 gold, 28 silver and 19 bronze.